Infections due to Acinetobacter are among the most challenging to treat and in turn this organism has been called an “antibiotic nightmare.” To identify and disseminate key points for the management of infections caused by this bacteria, an interview with Acinetobacter experts is provided here. Infections due to Acinetobacter present substantial clinical challenges to pharmacists, physicians, nurses, infection control personnel, researchers and others. It is a highly complex and adaptable bacteria. In attempting pharmacologic management of infections caused by Acinetobacter, the task can be a tall order. This is because Acinetobacter is associated with a diverse array of antibiotic resistance mechanisms and it is frequently multidrug-resistant. As an infectious diseases pharmacist I have encountered this bacteria causing infection in hospitalized patients on many occasions. While it intrigues me as a academician and scientist, it scares me terribly as a human being. 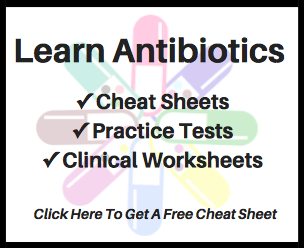 Without hesitation I endorse the notion that Acinetobacter is an “antibiotic nightmare.” The drugs used to treat it are associated with significant toxicities and patient outcomes are all too frequently suboptimal. To help you identify how bad the problem is, the pictured resistance profile is shown. This isolate of Acinetobacter is resistant (designated as an R) to every single antibiotic it was tested against. This photo is a clear reminder that antibiotic resistance is real and we are now facing infections that are untreatable with conventional therapies. So, what should we all know about pharmacologic approaches to the management of infections caused by Acinetobacter? Hopefully the following interview will help answer this question. Wong D, Nielsen TB, Bonomo RA, Pantapalagkoor P, Luna B, Spellberg B. Clinical and Pathophysiological Overview of Acinetobacter Infections: a Century of Challenges. Clinical Microbiology Reviews. 2017; 30 (1): 409-447. In order to provide a direct, relevant, reliable, and free-to-access perspective on Acinetobacter, the following interview was undertaken. This is an interview with Acinetobacter experts Dr. Wong and Dr. Spellberg. 1. What motivated your group to take on the substantial task of writing a review article on Acinetobacter? The authors have a research and laboratory focus on pathogenesis, antimicrobial resistance, and immunotherapies targeting Acinetobacter – thus, Acinetobacter is an organism of particular interest. We focused on Acinetobacter, because it is one of the most antibiotic-resistant pathogens encountered in medicine, and treatment options are limited. It is also an under-appreciated organism which has recently received a much greater attention due to its increasing occurrence in hospital infections. Estimates are in the range of 45,000 (range, 41,400 to 83,000) cases of Acinetobacter infections per year in the United States and 1 million (range, 600,000 to 1,400,000) cases globally per year; therefore, a review highlighting our current understanding both in its pathogenesis, who is at risk for infection, and how to approach complicated treatment scenarios was incredibly pertinent for us both as clinicians and researchers. 2. While doing your research, were there any pieces of information you found to be particularly striking about Acinetobacter? The most striking aspects are the persistence and adaptability of Acinetobacter, specifically A. baumannii, and it’s incredibly high rate of antibiotic resistance. The organism has a tremendous resistance to desiccation — In outbreak investigations A. baumannii remained viable in hospital units after months—even years—on a solid surface. Additionally, amongst many virulence factors, Acinetobacter possesses a variety of mechanisms to facilitate adherence, but also form biofilm and utilize a polysaccharide capsule to resist clearance by the immune system. 3. Could you briefly discuss why Acinetobacter remains such a challenge for clinicians and researchers? As early as 1977, a case series found that ventilator-associated pneumonia caused by Acinetobacter initially treated with effective antibiotics had a 14% mortality rate compared to an 82% mortality rate among patients infected with resistant strains who received ineffective initial therapy. Therefore, the initiation of early effective antimicrobial therapy remains of paramount importance. However, Acinetobacter strains have a tremendous capacity to develop and acquire resistance. There are a wide variety of different mechanisms that Acinetobacter can utilize making it difficult, near impossible, to offer a single recommendation on how to treat it. It is very difficult to “guess” correctly and start active empiric therapy because the organisms have become so resistant. 4. Would you consider there to be a “drug of choice” for Acinetobacter? Beta-Lactam antibiotics are the preferred choice for susceptible A. baumannii infections and result in an excellent response. As empiric therapy, carbapenems have been the mainstay of therapy. However, as alluded to, carbapenem resistance is increasing worldwide with NHSN and Eurofins surveillance data indicating resistance rates in excess of 50% in ICU isolates within the United States. Internationally the rates are substantially higher. For carbapenem resistant strains, there is no consensus on optimal antimicrobial treatment; therefore, treatment should be directed by sensitivities. Additional options (sensitivities permitting) include quinolones, aminoglycosides, and sulbactam. Note that sulbactam does have efficacy for susceptible strains, but within the United States must be given in its formulated combination of ampicillin-sulbactam. For extremely drug-resistant strains, the mainstays of therapy are either tigecycline or polymyxins. While tigecycline often has a low minimum inhibitory concentration (MIC) for A. baumannii strains, the drug’s serum concentrations are low, and in clinical trials, outcomes in patients with ventilator-associated pneumonia and bacteremia have been clearly inferior to alternative agents. Polymyxins (both polymyxin B and colistin/polymyxin E) do have successful treatment data, but are limited based on high renal toxicity and neurotoxicity. 5. Do you feel there are clear circumstances when clinicians should use combination therapy in the management of Acinetobacter infections? This is still a very controversial topic. Most studies on combinational therapy for Acinetobacter have not shown conclusive results. In vitro models suggest that rifampin is bactericidal for Acinetobacter isolates. Small studies did show a potential benefit of rifampin, but in larger randomized, multicenter trials, mortality was unchanged between patients with extremely drug resistant (XDR) A. baumannii infections treated with colistin and rifampin versus colistin alone. However, there was superior microbial eradication by culture clearance in the rifampin group. Therefore, combination therapy with rifampin may be of benefit in complicated situations where there is an infected foreign body or where the infection is in a sequestered site (e.g., central nervous system or bone) where antibiotics penetrate poorly or would have difficulty sterilizing tissue. Among all the combination regimens, the one that may be most rational is colistin-carbapenem, which has been found to be synergistic during in vitro studies. This synergy was best observed in isolates with intermediate resistance to the carbapenems (e.g., if the carbapenem MIC is 4 to 16 mcg/mL). A reasonable approach would be combining colistin and carbapenem therapy, particularly if the carbapenem MICs are 4 to 16 mcg/mL and preferably utilizing extended infusion administration if the MICs are 4 to 8 mcg/mL. This approach attempts to supplement the therapeutic effect of last-line polymyxin therapy with a pharmacokinetically optimized carbapenem. As mentioned, rifampin may be useful to add for infections of the central nervous system, bone, or prosthetic materials. Additionally, in cases of XDR Acinetobacter pneumonia, it is reasonable to consider addition of inhaled colistin, minimizing toxicity and maximizing levels delivered to the lung, as an adjunct to systemic therapy with carbapenem or other agents. 6. Is there a future treatment option on the horizon for Acinetobacter that has you excited? We are hopeful that immunotherapies and other adjunctive therapies (such as iron sequestration) will become available in the future to help us deal with Acinetobacter. One thing such methods will have to overcome is the tremendous diversity and adaptability intrinsic to the organism. For example, in the species of A. baumannii alone, there have been nearly 40 serotypes identified, and there may be more than 100 serotypes globally. We are developing a combinatorial monoclonal antibody (MAb) approach, but the diversity makes it challenging to package MAbs together that will hit most strains. At this point, our best bet is to maximize the efficacy and longevity of our current treatment options. This includes a combination of judicious antibiotic stewardship and a commitment to surveillance and infection control efforts. I would like to express my utmost gratitude to Dr. Wong & Dr. Spellberg for taking time out of their busy schedules to complete this interview and provide this valuable perspective. Darren Wong received his M.D. from the Drexel College of Medicine and completed his internship and residency in internal medicine at Hahnemann University Hospital and Drexel University. He completed an infectious disease fellowship at Montefiore Medical Center of the Albert Einstein College of Medicine in New York. Dr. Wong subsequently joined the Division of Infectious Diseases at the University of Southern California as an assistant professor of clinical medicine. In addition to extensive activity in both medical education and clinical care, Dr. Wong has additional responsibilities in both antimicrobial stewardship, infection control, and the integration of both programs to optimize clinical care. He has a particular interest in the resistance mechanisms and management of multidrug- resistant bacterial infections and in Clostridium difficile disease. Brad Spellberg M.D., FIDSA, FACP is Chief Medical Officer at the Los Angeles County-University of Southern California (LACUSC) Medical Center. He is also a Professor of Clinical Medicine and Associate Dean for Clinical Affairs at the Keck School of Medicine at USC. Dr. Spellberg has extensive administrative, patient care, and teaching activities. His NIH-funded research interests are diverse, ranging from basic immunology and vaccinology, to pure clinical and outcome research, to process improvement work related to delivery of care, focusing on safety net hospitals. A primary focus of his laboratory is pathogenesis and immunology of, and immunotherapy for, highly resistant Gram-negative bacilli, with a particular emphasis on Acinetobacter spp. Dr. Spellberg has worked for many years on national policy efforts related to antibiotic resistance, has written numerous societal position papers on the topic, testified before Congress, and written an award-winning book, Rising Plague, to inform the public about it.